Today, Nintendo posted a breathtaking video to its Facebook page, where they revealed that one of the most classic (and one of the most important) locations from the Zelda series would be featured in the upcoming Legend of Zelda: Breath of the Wild. Take a look. 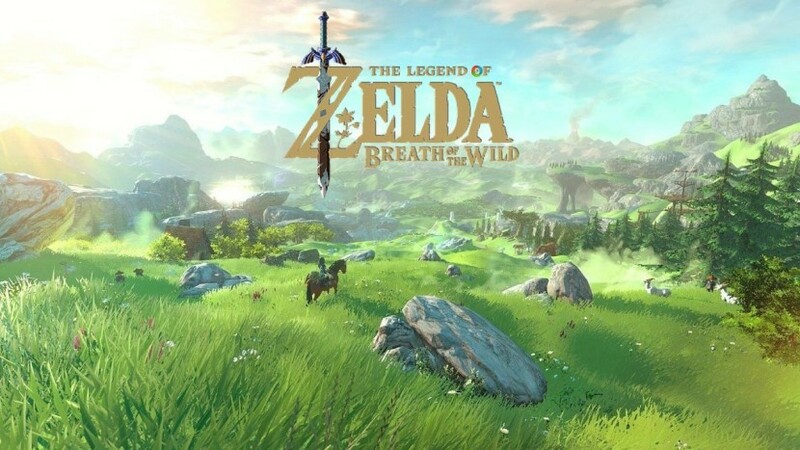 The Legend of Zelda: Breath of the WildDoes this seem familiar? 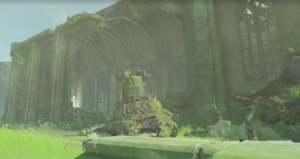 This is one of two very clear shots of the rear of the Temple of Time in this snippet, which is very likely the resting place for the Master Sword – as well as the Link from Ocarina of Time’s point of ascension into the realm of the Sages. Even though the temple is broken and wide open nowadays, something tells me it might be a little more difficult to reach than it appears. Well isn’t this something. 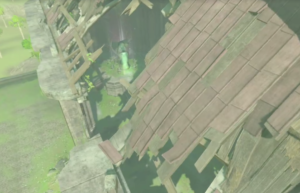 The big baddie we’ve seen Link fight in most of the new previews, the “Guardians”, seem to have died trying to get into the temple. In a closer shot a few frames before this, one of the Guardians’ claws is actually hooked into the side of the wall of the Temple. Is it possible that these badguys were the reason why the Temple is so broken? Or did the Temple’s energy repel them from even getting inside in the first place? In this shot we can clearly see that the Temple of Time’s front yard has something of a basement, or maybe the remnants of some catacombs that have been eroded to the point of outdoor exposure. Something tells me this isn’t where Sage Rauru keeps all his NFL memorabilia and arcade cabinets – and it probably plays a key role in entering the Temple for the first time. Also, note the corpses of three or four more Guardians in the bottom center-right-ish section of the image. Could this have been an all-angles assault that was repelled by a lone hero, or was this attack foiled by the Temple itself? This is yet another amazing preview from Nintendo, but in classic Nintendo fashion is raises more questions than it does answers. Where is the Castle Town that is supposed to surround the Temple of Time? What are these Guardians doing crawling all over the property? 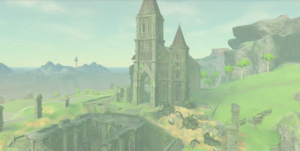 Is the Temple of Time going to be a frequent visiting point or is this a one-shot ordeal? In any case, we’re all hyped over here for Legend of Zelda: Breath of the Wild. If you’re just as hyped as us, let us know what you’re most excited about for the new game on Twitter at @WickedGoodGames.